Benelli, based out of Pesaro Italy, opened in 1911 as a service garage for motorized bikes and motorcycles. In 1919 and 1921 they produced their first motorized bike and first motorcycle, and since that time has won many awards throughout Europe for their innovations to the motorcycle. 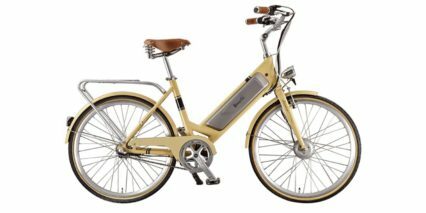 In 2011 the company branched out into e-bike production in order to better serve a changing clientele base as well as the ecological needs of the planet. They now offer a full range of e-bikes, a total of twenty models, for city, urban, mountain, and performance touring.